Keen to learn some of the basics of horses in general and some of the horseriding techniques? And combine this with a lovely trailride? Let me know and we brush together the horse, tack up, and I will teach you the basics of horseriding in the arena. 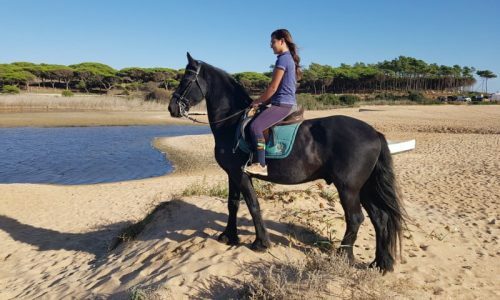 Once you are more comfortable, riding in the right position and able to control your horse, we will ride out into nature for a nice and relaxing trail ride! Costs: 80 euros per person. Recommended for unexperienced persons eager to enjoy a more complete experience.